increased cooperation and engagement with Afghanistanâ€™s neighbours, especially Pakistan. 2.Â Â Â Â Â Â Â Â Â Â In helping the Afghan people build security today, we are defending basic values we all share, including freedom, democracy and human rights as well as respect for the views and beliefs of others.Â While much remains to be done, Afghanistan has made important strides in developing its democracy and improving the lives of its citizens; its Government is strengthening its capacity in these areas.Â A reconciliation process for national unity has begun and basic security and infrastructure have improved. Over the past six years, access to health care has increased tenfold; access to education is up six times and women again have rights protected by law. Afghan and international forces fromÂ 40 countries, working side-by-side, are creating security conditions that make this progress possible. Nevertheless, security challenges remain. Violent extremists continue to attack fragile governmental institutions and the people of Afghanistan. They increasingly revert to indiscriminate terror attacks and intimidation but Afghanistanâ€™s and our capacity to counter them continues to grow. 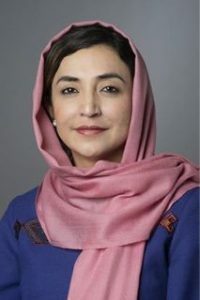 3.Â Â Â Â Â Â Â Our vision of success is clear: extremism and terrorism will no longer pose a threat to stability; Afghan National Security Forces will be in the lead and self-sufficient; and the Afghan Government will be able to extend the reach of good governance, reconstruction, and development throughout the country to the benefit of all its citizens.Â This declaration is supported by a medium-term, internal political-military plan – consistent with the Afghanistan Compact and the Afghan National Development Strategy – which will be updated regularly and against which we will measure progress. 7.Â Â Â Â Â Â Provincial Reconstruction Teams (PRTs) Â play a significant role in enabling security, governance and development. We pledge to provide all the PRTs needed, enhance their unity of effort, strengthen their civilian component and further align their development strategies with Afghan Government priorities until such a time as Afghan Government institutions are strong enough to render PRTs unnecessary. 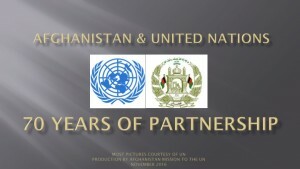 9.Â Â Â Â Â Â Â Â We as Allies and Partners stand united in our firm commitment to support the Afghan people fulfil their aspirations for a better life. The Afghan Government and people are taking increasing responsibility for the countryâ€™s security, reconstruction and development.Â Â Together we will ensure they achieve the future they have long been denied and thereby bring greater security to all of our people.